EWA BEACH (HawaiiNewsNow) – Scientists say there are parallels between recent earthquakes and ground movement in the Pacific Northwest and what happened in Japan before last year’s devastating quake and tsunami. The research was discussed over the weekend at the annual meeting of the American Association for the Advancement of Science. Scientists at the Pacific Tsunami Warning Center in Ewa Beach are well aware of the new research. The disaster in Japan occurred because of stress from the Pacific tectonic plate sliding below Japan. The plates locked together, slowly pushing Japan westward, and then released, resulting in the magnitude 9.0 earthquake and tsunami that killed thousands. Japan moved about ten to 15 feet eastward in the quake. Scientists said the same thing is now in the works off the coast of British Columbia, Washington and Oregon, as the Juan de Fuca plate moves beneath the Pacific Northwest. 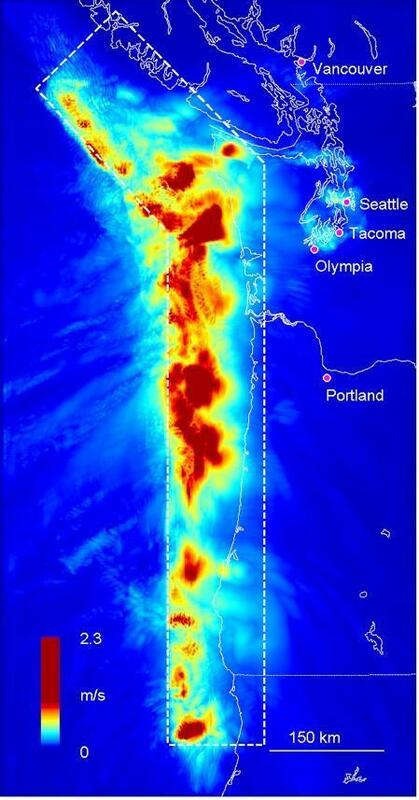 According to Fryer, the last big earthquake in the Pacific Northwest happened in January 1700. Like the Japan quake, it also was a magnitude 9.0, and sent a destructive Pacific wide tsunami that reached Japan. Fryer said the Pacific Northwest has already been preparing for such a possibility, with stricter building codes and more education among residents about what to do in the event of an earthquake or tsunami. In Hawaii, a Pacific wide tsunami from the northwest has already been factored into new evacuation maps, Fryer said. While a mega-quake would be devastating to the Pacific Northwest in the same way it was to Japan, Fryer said Hawaii, again, might be spared the most damage from a tsunami generated by such a quake. “We’re pretty certain that if there were a big earthquake in the Pacific Northwest that most of the energy would pass north of the Hawaiian Islands, which means that at worst, it would only be a little bit worse than the one from Japan last year,” he said. Also like a tsunami from Japan, it would take about five and-a-half hours for tsunami waves to arrive in Hawaii from the Pacific Northwest. Fryer said we also shouldn’t forget the biggest tsunami threat for Hawaii: a mega-quake from the Aleutian Islands, similar to the one that devastated Hilo in 1946. Why Are Modern Guillotines on Military Bases in America? US NAVY MAP of the FUTURE – is this NOW? ?